Eagle Cay on Marco Island boasts tasteful and contemporary interior designs which compliment each room with charming personality. The property grounds are enveloped with colorful and exotic foliage, which amplifies the sensation of living in paradise. The large, heated pool has an adjacent pavilion, pool house, and BBQ area for entertaining numerous guests. In addition, the property offers tennis, shuffleboard, covered parking, and a boat dock with fish cleaning area. 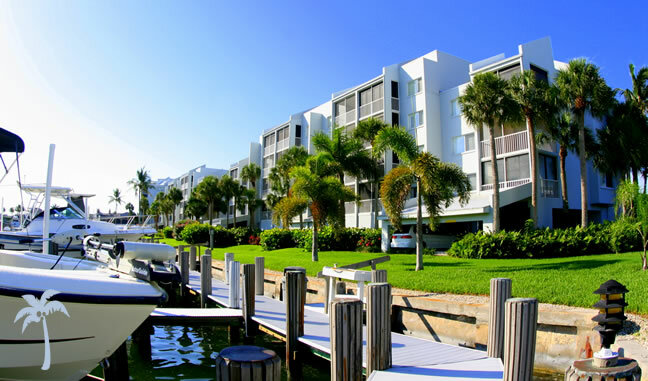 Eagle Cay waterfront condominiums are located in southwest Florida on Marco Island, which lies in the beautiful Gulf of Mexico. It falls into both the Boating Condos category and the Walk-to-Beach category. Its got something for everybody. This exquisite, waterfront property was built in 1988 and is located on 893 Collier Court. It has 126 elevator accessible units situated within 5 buildings. They come in 2BR/2BA or 3BR/2BA option with a generous 1,125 living space. Each room has a luxurious, private balcony that is accessible by either the master bedroom or living room. Other nice features are microwave, dishwasher, clothes washer and dryer, spacious kitchen with modern appliances, master suite with double walk-in closets, double sinks, shower, bath tub, and a separate lavatory room. Eagle Cay condos are only 0.6 miles from South Marco Beach access and oceanfront dining. Area attractions include fishing, water-skiing/boarding, charters, golf, the unique boutiques of the Esplanade Shops, Marco Town Center Mall, movie theaters, and an excellent choice of restaurants. Monthly maintenance fees for Eagle Cay condos is $533. The maintenance fee includes all the typical stuff like master insurance, cable TV, lawn maintenance, landscaping, manager, pest control, trash removal and water & sewer. Eagle Cay represents good "bang for the buck." Pets are allowed at Eagle Cay. Residents can have one pet, up to 25 lbs. The minimum rental period in Eagle Cay is 30 days. Popular with Snowbirds, these condos are strong in the rental market for owners that would like to offset costs of ownership. There are three different floor plans in Eagle Cay in 2-bedroom and 3-bedroom configurations. All condos enjoy fantastic water views. Gas and supplies for boating and fishing trips is available next door and on the way out. Click here to see all Eagle Cay floor plans.